Today’s featured Spider was inspired by Capt. 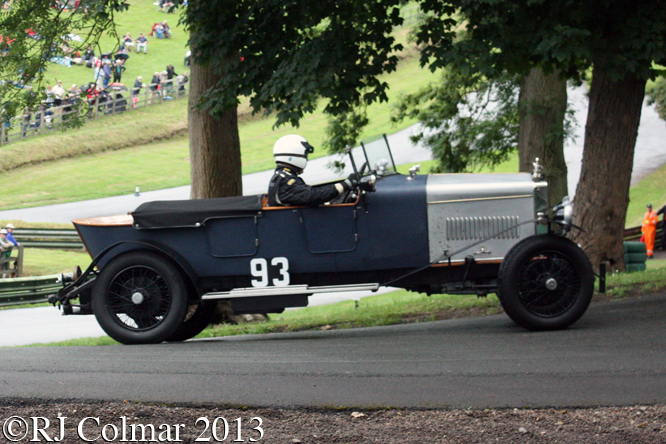 Archie Fraser Nash’s successful GN hill climber known a “Kim”. Spider was built by Basil Davenport who bought a GN chassis from the Captain which he then shortened and converted to a single seater with central steering and fitted a Kim inspired body built from chalk drawings on his workshop floor in 1924. 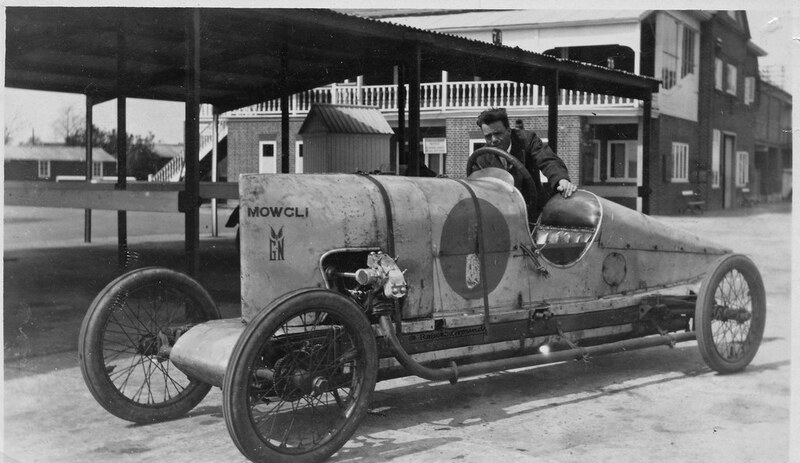 For 1925 Basil replaced the prototype GN Vitesse 1087cc / 66 cui V twin engine he had originally bought with the chassis for the unique 1500 cc / 91.5 cui V twin with four valve aluminium bronze heads and twin spark plugs from the works GN racer known at Mowgli that had lapped Brooklands at 92 mph. 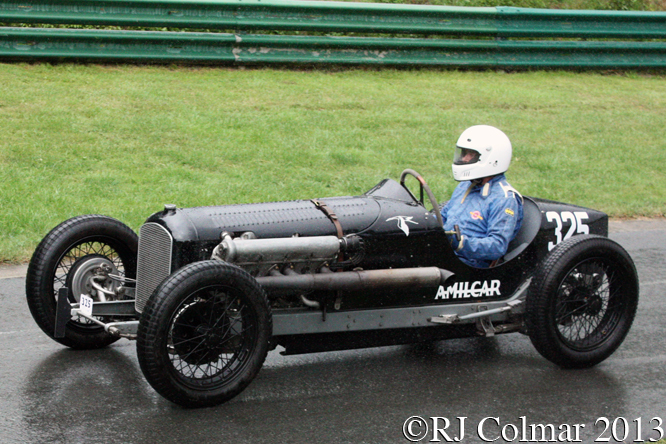 After fitting lighter pistons and stronger JAP connecting rods Basil turned up at Shelsley Walsh on September the 4th 1926 and became the first man to climb the hill in under 50 seconds. 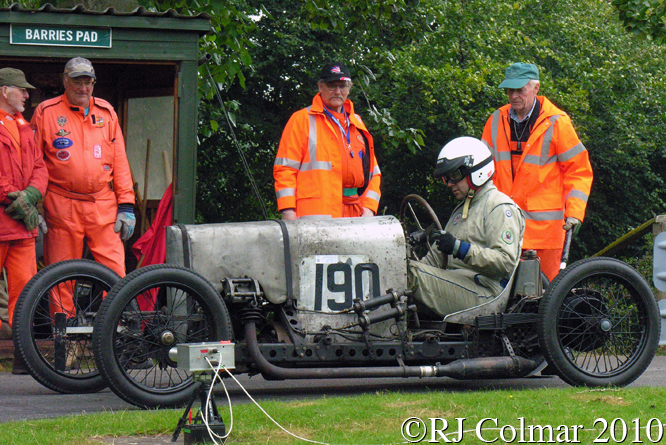 Further modifications for 1927 including lighter valves and new cam shafts made the car quicker but the engine blew at Colwyn Bay leaving Basil just five weeks to build a new crankcase and motor before Shelsley. 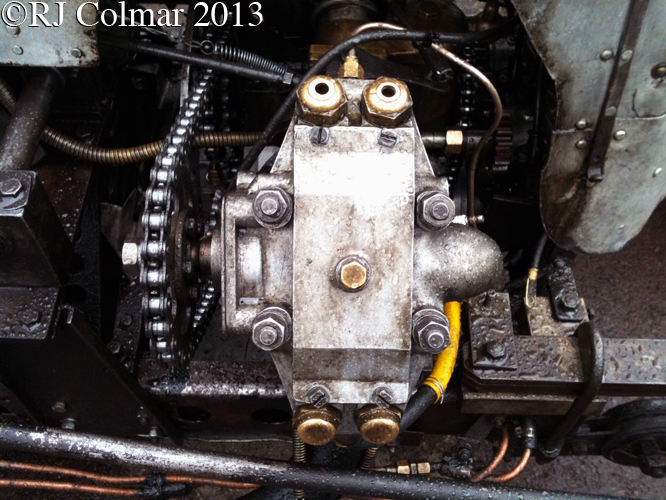 The new crankcase allowed one cylinder to be mounted slightly ahead of the other for added reliability of the connecting rods and the engine compression was raised so the 40mm Solex Carburettors could now feed the engine with an alcohol fuel mixture. 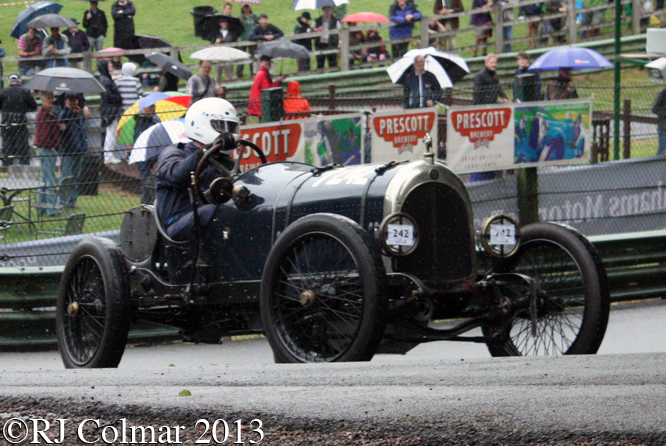 At Shelsley in 1927 Basil knocked another second of his record, despite the rain ! 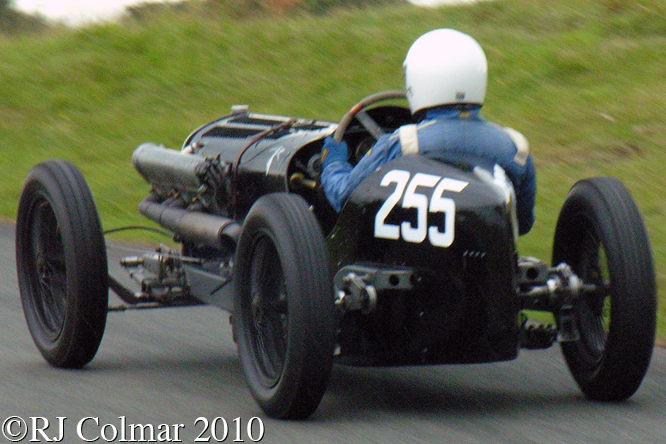 The following season Basil left the Shelsley record at 46.4 seconds and it was not until 1929 that Raymond Mays driving a 3 litre / 183 cui supercharged Villiers relieved Basil of the Shelsley record. 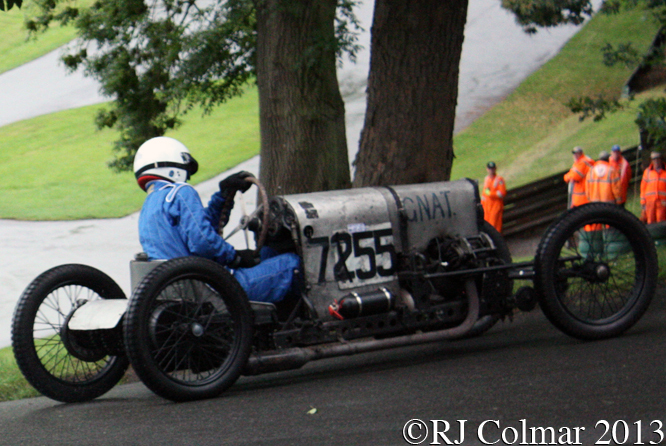 In 1930 Basil proved to be quicker up Shelsley that none other than Rudolf Caracciola driving a supercharged 7 litre / 427 cui Mercedes Benz SSK. 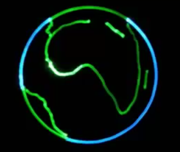 At the same meeting his temporary 44.6 second record eventually fell to Hans Stuck who drove his 3.5 litre / 213 cui Austro Daimler to a new record of 42.8 seconds leaving Basil and the Spider in second place. There after Basil fitted new heads to the car and even front wheel brakes, but these did not help make the car any quicker and he retired to look after his business interests in 1931. 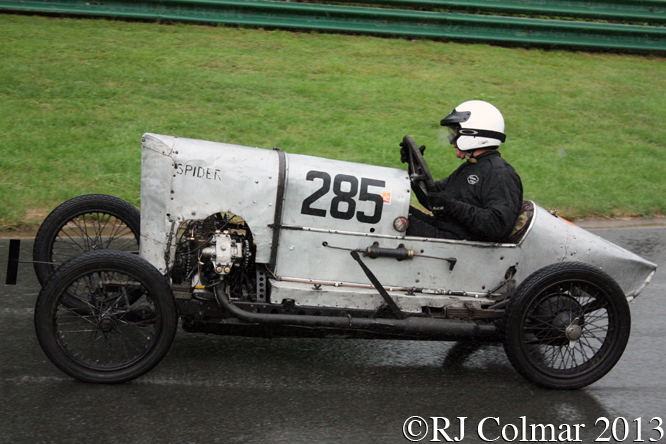 In 1946 Basil brought Spider briefly out of retirement to set the best unsupercharged time at Shelsley but elected to cannibalise Spider particularly of it’s body, held on by six bolts and chain drive transmission for the 2 litre / 122 cui Big Spider. 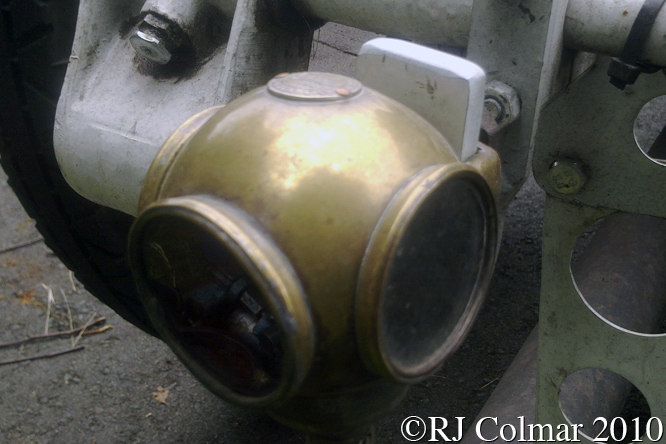 While still at school in 1979 David Leigh started helping Basil rebuild the original Spider. After Basil’s death David bought bought Spider from Basil’s longstanding mechanic Ron Sant in 1994. 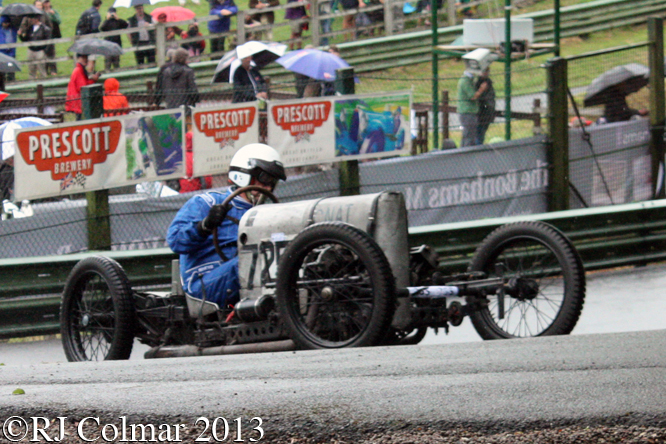 Three years later David managed to drive Spider up Shelsley in under 40 seconds which had been Basil’s dream since breaking the 50 second record in 1926. David modestly credits the achievement to the improvements in the track surface and latest Avon GP motorcycle tyres which sit on period correct size 19 inch rims. David Leigh is seen at the wheel, recovered from a Handley Page bomber, of Spider in the 2013 photographs taken at Prescott. 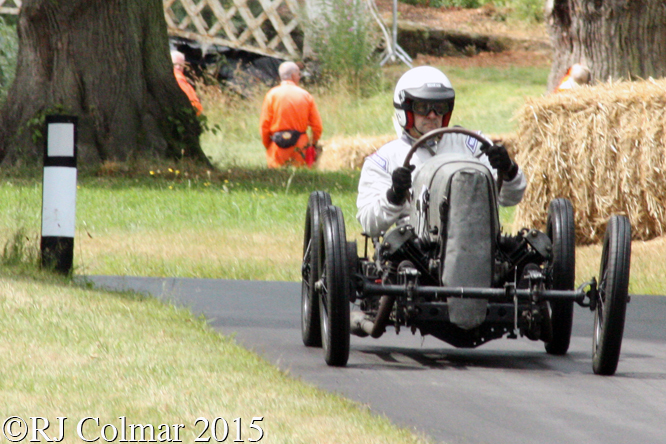 At Chateau Impeney Charlie Martin, better known for driving the Morgan RIP Special became only the third person to drive Spider as seen in the above 2015 dated photographs. My thanks to Tim Murray for kindly lending me his copy of John Bolsters “Specials” 1971 edition with out which this blog would be very brief. 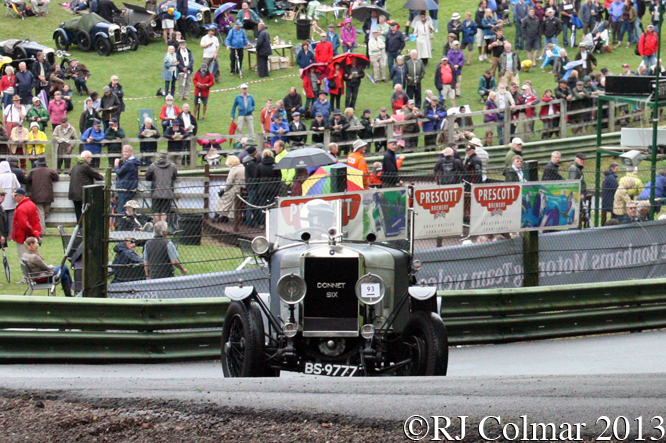 Thanks for joining me on this “Shelsley Giant Killer” edition of “Gettin’ a li’l psycho on tyres” I hope you will join me again tomorrow when I’ll be looking at another ERA. Don’t forget to come back now ! This entry was posted in Uncategorized and tagged Chateau, Colmar, Davenport, Fraser, GN, Impney, Kim, Leigh, Martin, Mowgli, Nash, Prescott, Psychoontyres, Ralph, Spider, Vitesse on February 20, 2016 by Ralph. Confusingly in 1913 there was a French Grand Prix run at Amiens where Mercedes were absent and a Grand Prix de France run at Le Mans where the Mercedes cars finished in 3rd, 4th, 6th and 7th places. To the best of my knowledge today’s featured car listed in event programmes as a Daimler Mercedes Rennwagen GP was not one of the 1913 Grand Prix de France team cars. 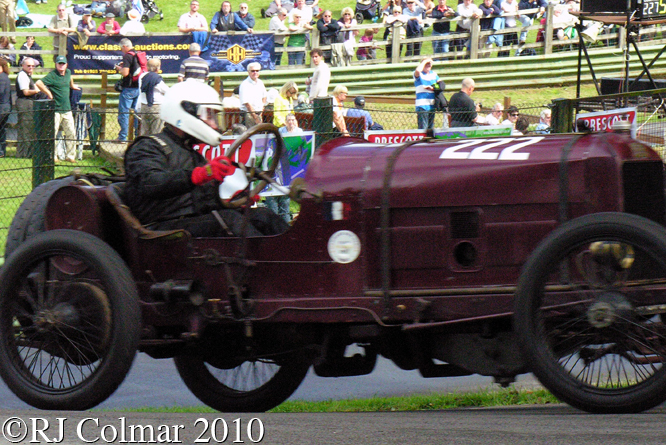 David Biggins’s car is shown in the same programmes to have been built in 1913 and I believe the 7,247 cc / 442 cui motor dates from 1914. The six cylinder DF80 was originally designed for aircraft applications, but Paul Daimler had the idea of turning the engine back to front and installing it in the 28/95 model first seen in 1914. After the 1914-18 hostilities Max Sailer won the 1921 Targa Florio with a 28/95 a model which remained in production until 1924. If one enters the registration number LL4535 into this linked website one discovers that the car is officially registered a Mercedes 20.1. Using the registration number and Mercedes 20.1 manufacturer name one discovers from the DVLA Vehicle Check site that the car or some part there of was first registered in the UK on 19th January 1921. 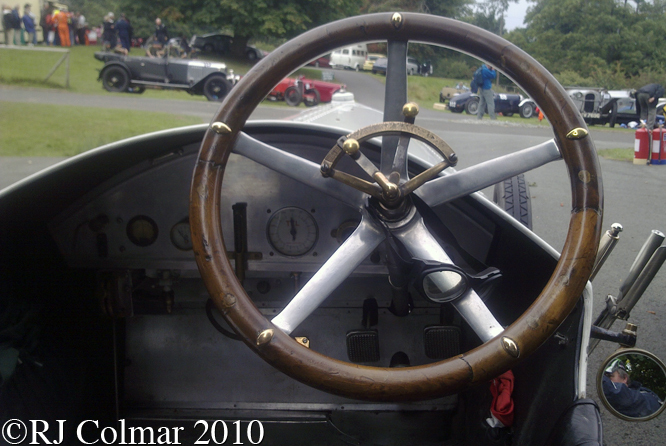 The detail shots of this car were taken at Loton Park while the most recent shot with David Biggins at the wheel was taken at Chateau Impney with the remainder taken at Prescott. Thanks for joining me on this “Aero Engined Rennwagen” edition of “Gettin’ a li’l psycho on tyres” I hope you will join me again tomorrow when I’ll be looking at a mid range Citroën. Don’t forget to come back now ! This entry was posted in Uncategorized and tagged 20.1, 28/95, Biggins, Chateau, Colmar, Daimler, DF80, GP, Impeney, Loton, Mercedes, Park, Prescott, Psychoontyres, Ralph, Rennwagen, VSCC on February 8, 2016 by Ralph. No Body One Brake – GN G.N.A.T. GN cars founded by H.R. 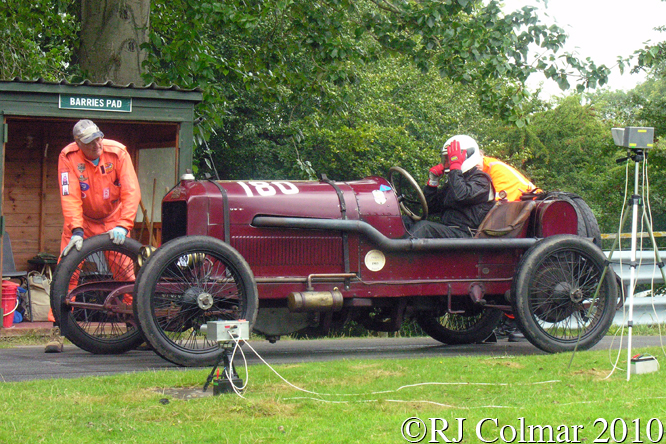 Godfrey and Archibald Frazer-Nash in 1910 were were made in London up until 1923 and were initially notable for being built with wooden chassis with chain driven JAP engines or belt driven Peugeot engines. 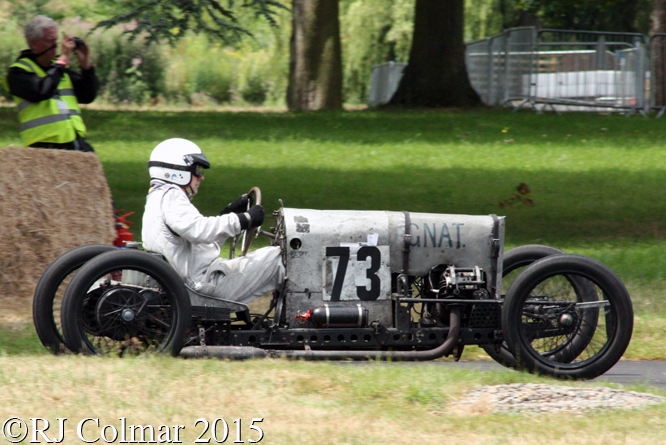 By 1919 GN adopted steel chassis and engines of their own design, I believe today’s featured GN G.N.A.T. special has a 1919 steel chassis that was lightened, shortened and lowered by E.G.Sharp who fitted a front axle with a wider track than the rear starting the work in 1925. Sharp acquired an unusual 1088 cc / 66 cui aircooled V twin JAP engine for the car that featured modified Vitesse cylinder heads that dispensed with the original overhead cam shafts in favour of pushrod operated overhead valves. It was only after the valve gear had been redesigned by E.G.Sharp that the twin carburetor engine produced any useful power. Since the chassis had been lowered a much smaller diameter clutch was fitted with a length of rope tied to the clutch pedal for the driver to pull if the clutch failed to engage properly. 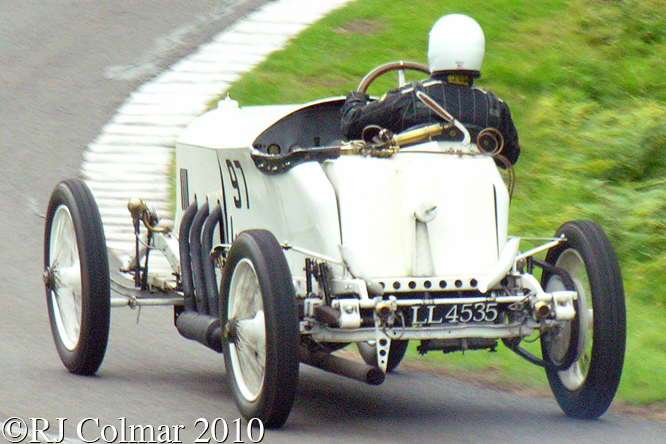 Originally E.G.Sharp omitted any bodywork as was common practice in the period and had only one break drum operational on the rear axle to slow the car down. 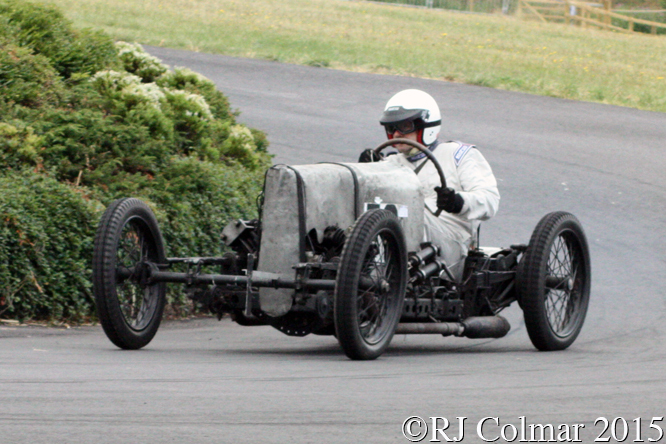 The car is described in “Specials” by John Bolster as “Very fast, but only moderately reliable” with it’s most notable achievements being a fatest time of the day, FTD, recorded at Stalybridge in 1928 and a class win at Shelsley Walsh in 1930. 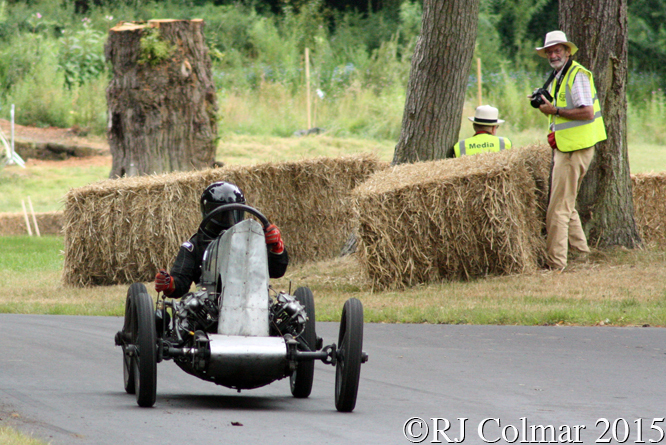 Richard Wiseman is seen driving the GN G.N.A.T wearing blue overalls at Prescott while John Wisemann wearing white overalls is seen driving the car at Chateau Impney and on the start line at Loton Park. My thanks to Tim Murray for kindly lending me his copy of “Specials” 1971 edition by John Bolster. Thanks for joining me on this “No Body One Brake edition of “Gettin’ a li’l psycho on tyres” I hope you will join me again tomorrow. Don’t forget to come back now ! This entry was posted in Uncategorized and tagged Chateau, Colmar, Farzer, GN, GNAT, Godfrey, Impney, JAP, Loton, Nash, Park, Prescott, Psychoontyres, Ralph, Sharp, Vitesse, Wisemann on February 6, 2016 by Ralph. Like the Donnet Six Type G the six cylinder Type K was built in Donnet’s new state of the art six story factory which like the FIAT Lingotto factory in Turin featured a test track on the roof. 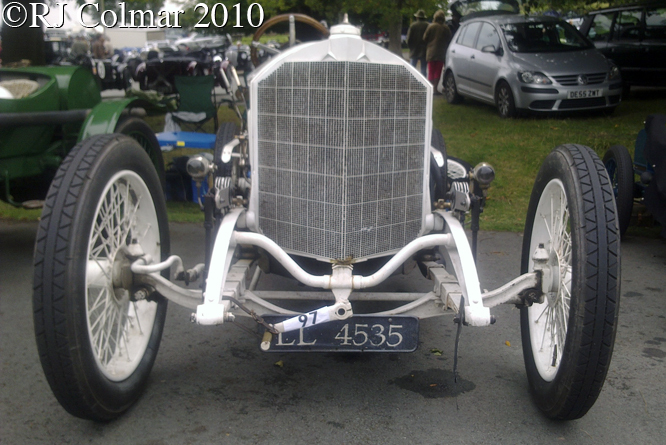 The 2.5 litre / 152 cui 6 cylinder Type K like Mike Tebbett example seen at Prescott in these photographs was manufactured from 1929 until 1933 when Donnet went bankrupt shortly before rivals Citroën. 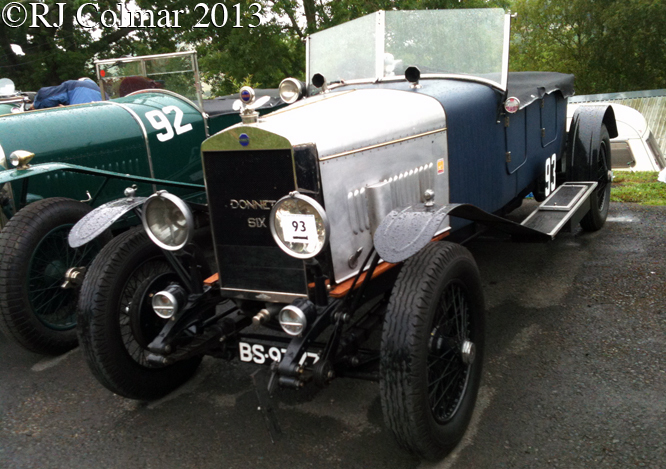 The vehicle in these photographs is officially registered as being built in 1927, when the smaller 2.3 litre / 140 cui 6 cylinder CI6 was the largest Donnet in production, I can only assume a clerical error in the official DVLA records is to blame for the contradiction. 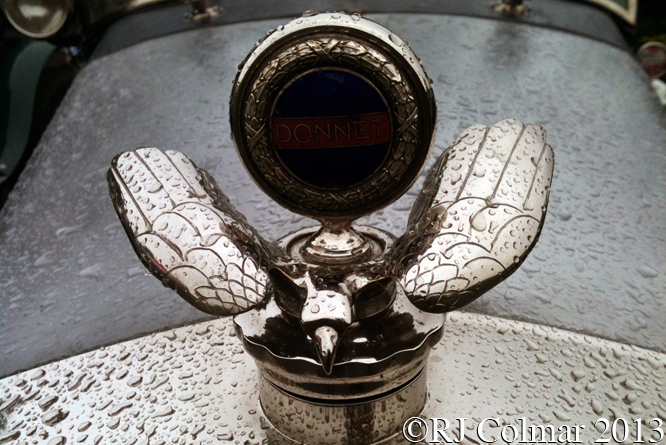 The French engineer, journalist and man credited with being behind the creation of the Le Mans 24 Hour race Charles Faroux noted that the Donnet Six was “economical” and “smooth” as to be expected from a six cylinder vehicle. Apparently testing on the roof of the Donnet Factory was abandoned after one unfortunate exceeded track limits, allegedly when the factory was closed all of the machines, tools and existing unfinished stock were buried in a large hole in the ground. Thanks for joining me on this “Kontradiction” edition of “Gettin’ a li’l psycho on tyres” I hope you will join me again tomorrow when I’ll be returning to Castle Combe for their season ending race meeting. Don’t forget to come back now ! 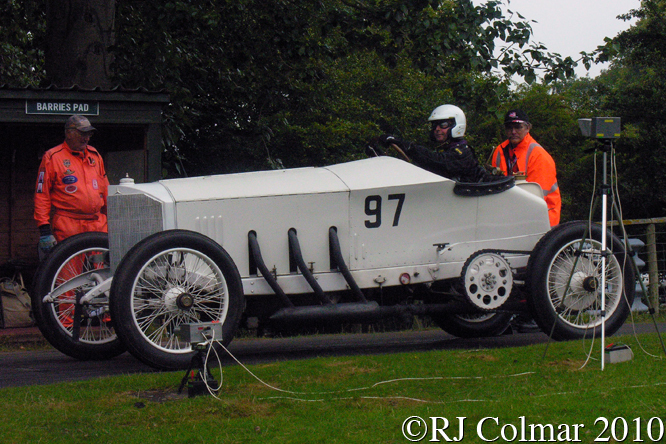 This entry was posted in Uncategorized and tagged Colmar, Donnet, Faroux, K, Prescott, Psychoontyres, Ralph, Tebbett, Type, VSCC on October 13, 2015 by Ralph. The motor powering Robin Baker’s 2 speed, chain drive 1930 Hispano Amilcar Special is a 1916 Hispano Suiza V8 aircraft engine. Marc Birkigt’s HS8 design with a swept volume of 11,760 cc / 717 cui originally produced 140hp and was only accepted for use by the French Military after it had passed a 50 hour full speed test, more than three times longer than any comparable test held hitherto. After demonstrating it’s major leap in reliability a new SPAD S.VII fighter was quickly designed around the new motor which helped the Entente, British, French and Russian, air forces regain air superiority during the 1914-18 war. By the time production of HS8 motors ceased in the mid 1920’s they were producing 300hp and they had been built under licence in 21 different factories under licence in Spain, France, Britain, Italy, and in the United States where they were recognised as superior to the Curtiss OX5 V8. 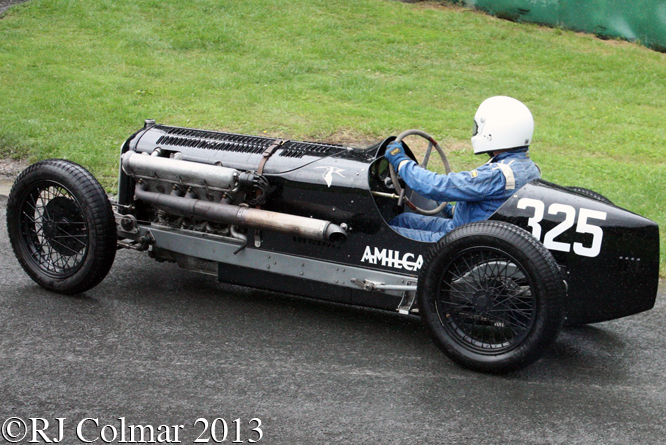 By 1930 I believe the only Amilcar chassis being built large and substantial enough to carry a 185 kg / 407 lbs HS8 would probably have been a C8 which would have originally been fitted with a 2 liter / 122 cui or 2.3 litre / 140 cui straight 8. Thanks for joining me on this “Major Reliability Leap” edition of “Gettin’ a li’l psycho on tyres” I hope you will join me again tomorrow when I’ll be visiting the Avenue Drivers Club. Don’t forget to come back now ! 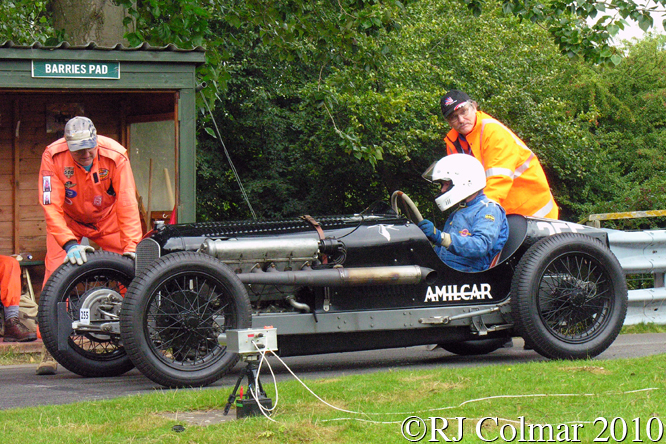 This entry was posted in Uncategorized and tagged Amilcar, Baker, Birkigt, C8, Colmar, Hispano, HS8, Loton, Park, Prescott, Psychoontyres, Ralph, Spad, Special, Suiza, VSCC on May 19, 2015 by Ralph. In 1913 Peugeot introduced the Types 145, 146 and 148 passenger cars which all shared the same 4,536 cc / 276 cui 35 hp 4 cylinder motors but had chassis with 3.3m / 10.8 ft, 3.48m / 11.4 ft and 3.61m / 11.8 ft wheelbases respectively. 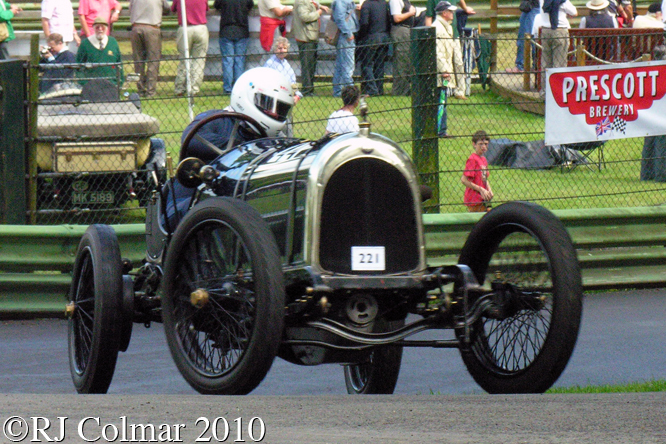 Today’s featured car is built on one the longer 1913 Type 148 chassis, one of just 83 built, but somewhere around 2001 appears to have been fitted with a 100hp 10 litre / 610 cui 4 cylinder Hall Scott A7 Aero engine, of the same type as fitted to William Hildyardís 1910 Th Schneider I looked at last week and Stewart Wilkies Fafnir I looked at some years ago. 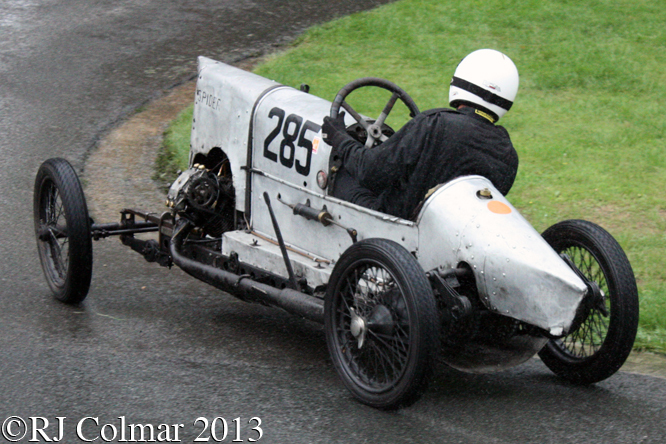 The bodywork on Clive Press’s Peugeot seen in these photographs at Loton Park and Prescott respectively is styled on the 1913/14 era Peugeot EX3 racers that won the French Grand Prix and 1913 Indy 500. 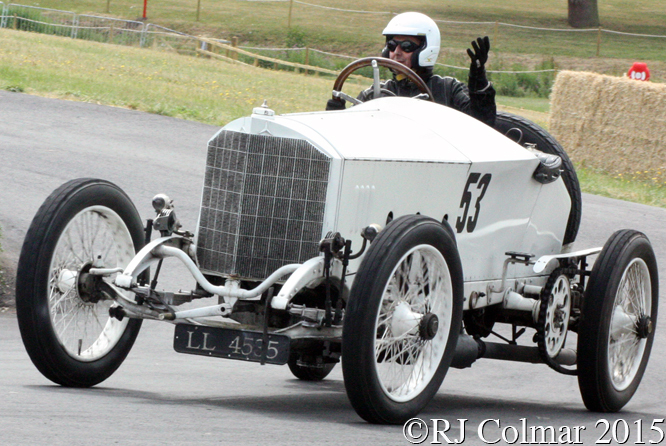 Thanks for joining me on this “LWB Aero Engine Special” edition of “Gettin’ a li’l psycho on tyres” I hope you will join me again tomorrow when I’ll be visiting Llandow. Don’t forget to come back now ! 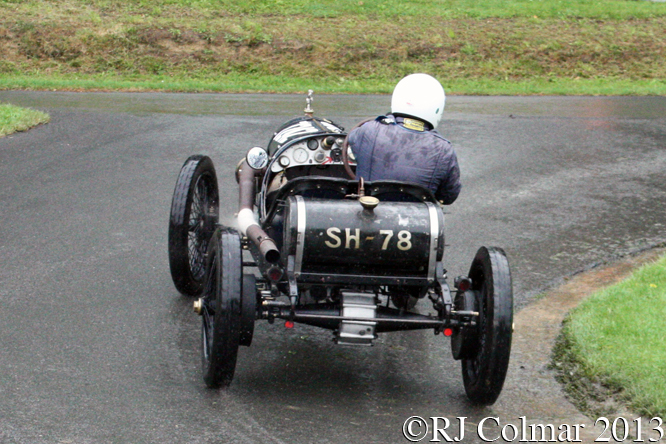 This entry was posted in Uncategorized and tagged 148, Colmar, Hall, Loton, Park, Peugeot, Prescott, Press, Psychoontyres, Ralph, Scott, Special, Type, VSCC on May 12, 2015 by Ralph. Théodore Schneider, also known as Théophile, became involved in the manufacture of Rochet-Schneider motor cars, sold with the strap line “strength, simplicity and silence”, with Edouard Rochet in Lyon, France in 1894. By 1907 Rochet Schneider was liquidated though Rochet Schneider production appears to have restarted after World War 1 and continued until the company was bought by Berliet in 1932, meanwhile in 1910 Schneider founded Société anonyme des automobiles Th Schneider. 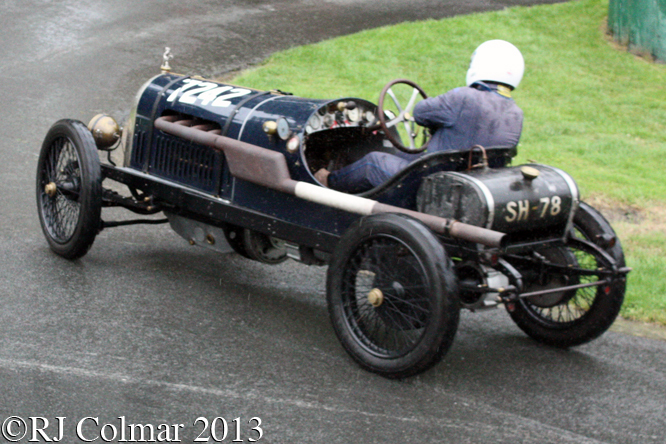 Th Schneider produced a range of vehicles, including racing cars that participated in the 1913 Grand Prix de l’A.C.F. at Amiens and French Grand Prix at Le Mans the same year, at their Besançon, France facilities until 1930 by which time the company had been declared bankrupt twice in 1921 and 1929. 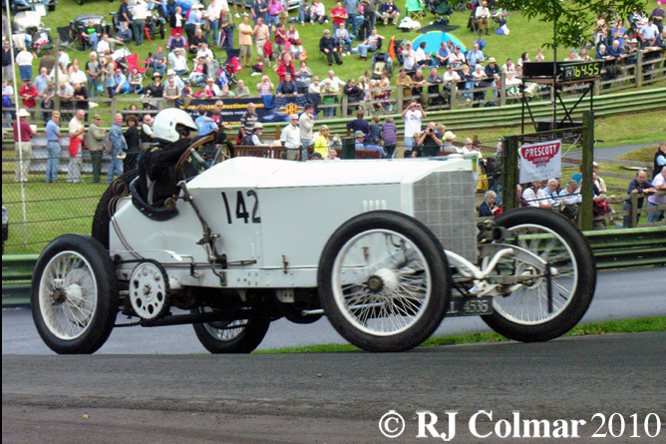 William Hildyard’s 1910 example, seen driven by Nicolas Hildyard at Prescott in these photographs, appears to have been fitted with a 1913 100hp 10 litre / 610 cui 4 cylinder Hall Scott A7 Aero engine in the early 1980’s, note this car is fitted with a Bean radiator which has replaced the Schneider unit which was typically mounted behind the engine and in front of the drivers dash originally. Built in Berkley, California the Hall Scott A7 had a reputation for catching fire when in use, whether this alone was responsible for; the Aeromarine Plane and Motor Company to swap over from manufacturing Scott Dayton A7 powered Aeromarine 39A’s to Curtiss OX5 powered Aeromarine 39B, for the manufacture of just two Scott Dayton powered Dayton Wright FS trainers, or for many grounded Scott Dayton powered Standard J1 trainers to be converted to Curtiss OX5 V8 power, is not recorded. Thanks for joining me on this “Bean Radiator” edition of “Gettin’ A Little Psycho On Tyres” I hope you will join me again tomorrow when I’ll be looking back at some highlights from recent Silverstone Classic meetings. Don’t forget to come back now ! 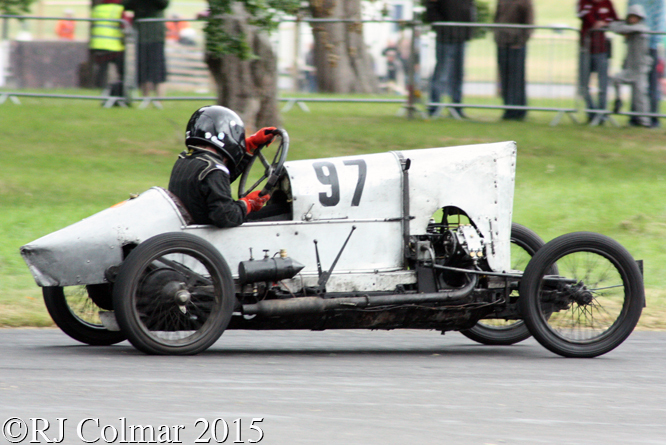 This entry was posted in Uncategorized and tagged A7, Aeromarine, Bean, Berkley, Besançon, Colmar, Dayton, Hall Scott, Hildyard, Prescott, Psychoontyres, Ralph, Rochet, Schneider, Standard, Th, VSCC, Wright on May 5, 2015 by Ralph.